A Venezuelan man has claimed a spot on the Guinness Book of World Records for the biggest feet. Jeison Orlando Rodríguez Hernandez, 20, from Maracay, Venezuela, has feet measuring nearly 16 inches each and his shoes are size 26. From the age of 14, Rodríguez Hernandez had shoes made out of cloth material that only lasted two to three weeks, forcing him to go barefoot at times. “These are the sorts of things I would go through. I would look at other people and say, ‘How I would like a little pair of shoes’,” he said in an interview with "NowThis." 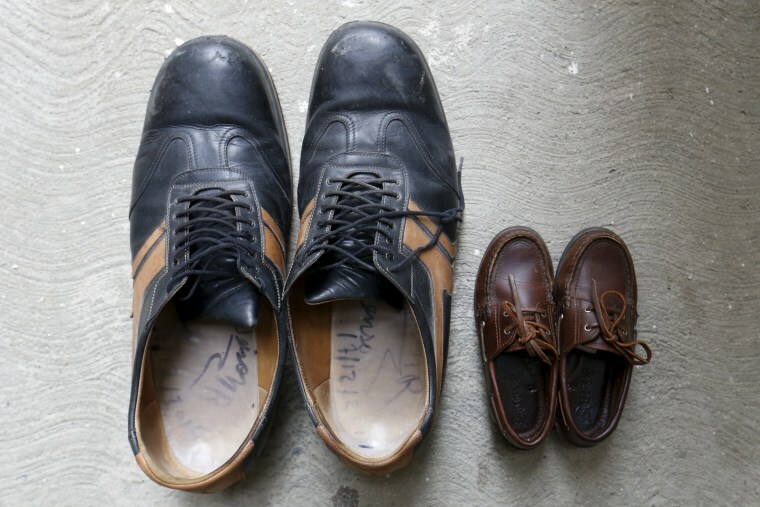 In school, Rodríguez Hernandez had to face verbal and physical bullying because of his feet and used to come home traumatized by the discrimination. He underwent medical scans that determined he suffered from an overactive pituitary that produced the excess growth. Rodríguez Hernandez’s shoes were made by a German shoemaker who specializes in making shoes for irregular sizes and who also presented his measurements to the competition. Representatives of the Guinness World Records traveled to Venezuela to meet Rodríguez Hernandez. The previous record was held by Sultan Kösen, his feet measuring 14 inches. Don’t worry, Kösen still holds the record for the tallest living man. Kösen measures 8 feet and 2.82 inches, while Rodríguez Hernandez measures 7 feet and 2.61 inches.